As an author, one of the most powerful tools to get exposure for your books is doing a price promotion. By reducing your book’s price for a short period of time, you can get more sales, increase your ranking, and thus get more exposure. Which can lead to more sales, which leads to an even bigger increase in ranking, and so on. Don’t worry about any short-term losses in profits—unless you’re making millions (and even then) your book can surely benefit from increased sales and exposure, and you’ll continue reaping the rewards long after your book has returned to full price. If you give away your book for free, you’ll obviously attract more people (possibly up to 10x as many). This is great if you have a series or other books you think people may buy after reading your free book. 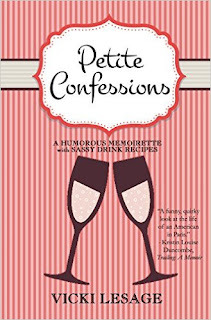 For example, I give away my book Petite Confessions (http://www.amazon.com/dp/B00UESOPYA) for free in the hopes that people will like it and will go on to buy other books in my Paris Confessions series (http://amzn.to/1dE9Lyv). But if your goal is to make money right away or you don’t have other books or your other books aren’t likely to interest the same people as the book you’re trying to promote, then you’re probably better off reducing your book’s price to $.99. Some sale-priced books go for $1.99 or even $2.99, but you’ll likely see the best results at $.99. After your promo is over and your book returns to full price, your improved ranking will result in increased full-priced sales, so you’ll continue earning even after the promo is done. Also, if you’re in the Kindle Unlimited program, people may download your book for free during the promo and you’ll get paid for pages read (so, even though it’s not an actual sale during your promo, it’s still another gauge of the promo’s success). If you’re in KDP Select, you have 5 free days per 90-day enrollment period or up to 7 days to discount your book during a Kindle Countdown Deal. If you’re not in KDP Select, you can change your price as you wish (or as your publisher wishes). I’ve seen the best success running a promo for 3-5 days and focusing most of my ads on the first day (where possible). That will give you the biggest spike in sales, which will result in the biggest spike in your ranking. Once your rank is high, you will continue to sell more books at the sale price simply because your book is now visible to more people. Any ads you weren’t able to secure for the first day can run on the other days of the promo and will help sustain your ranking. Putting your book on sale is only half the battle—people have to find out about your sale too! So be prepared to spend a little time and/or money and submit to the sites below. You’ve likely heard of BookBub. I jokingly call it The Almighty BookBub among my author friends because it’s super hard to get into, but if you’re accepted you’re pretty much guaranteed success. (Around 95% of their promotions make their money back.) I highly recommend following their author’s blog (http://insights.bookbub.com) and soaking up their invaluable advice. You can use their tips to improve your book and thus have a better chance of getting accepted by them, but even if you never get accepted (only about 10-20% of submissions do get accepted so don’t feel bad) their tips will still help with your other marketing. Read Cheaply: It’s currently free to submit, their newsletter is clean and uncluttered, and they deliver a nice little bump in results. Robin Reads: They’re reasonably priced and are worth it, as long as your book fits within the genres they promote (check their site for the current list). Ereader News Today: Same benefits of Robin Reads—you’ll pay a fair price to be featured and you’ll see some nice results. They have nearly every major genre. BookStar: Hey! Why does this sound familiar? That’s because I run this newsletter! So of course I recommend it because we put our blood, sweat, and salty tears into selecting the best books at the best price for you. We’re relatively new so we’re still pretty inexpensive to advertise with. We focus on the following genres: women’s fiction, romance, and chick lit, and the occasional thriller, bestseller, or memoir as long as it’s written by, for, or about women. Book Barbarian: We really like them because they do what we do—focus on a niche and do it really well. So if your book is sci-fi or fantasy, submit to them! Plenty of other sites exist as well, each with varying prices and varying degrees of success. Many are free, so it will only cost your time (though don’t expect amazing results). And plenty are more than happy to take your money but won’t necessarily deliver results. It’s up to you how much you have in your budget, how big of a risk you’re willing to take, and how much time you have to submit to them all! 1. Read BookBub’s blog and learn everything you can. You can’t read the entire internet but you can read a decent chunk of their blog to polish up your book’s presentation and your marketing techniques. Check the books they’re featuring in your genre to get a feel for what they’re looking for (what the covers look like, how their blurbs read, the number of reviews they have, etc.). If you’re sure your book is up to snuff, move on to Step 2. 2. Submit your book to BookBub for a price promo. Be prepared to get rejected a few times. Resubmit as often as they allow. After each rejection, try to look at your book critically and see if there’s anything else you can improve. Get more reviews? Polish your blurb? Try to get editorial reviews? Then submit again. If you get accepted to BookBub, jump for joy! Schedule your price promo and then submit to the other sites above. Promote your deal on social media and shout it from the rooftops. 4. If you keep getting rejected from BookBub, don’t despair. Schedule a price promo anyway and submit to the sites above. While BookBub is king, there are still plenty of princes and princesses out there! Hope this helps, and good luck with your promo! Amazon bestselling author Vicki Lesage proves daily that raising two French kids isn't as easy as the hype lets on. In her three minutes of spare time per week, she writes, sips bubbly, and prepares for the impending zombie apocalypse. She lives in Paris with her French husband, rambunctious son, and charming daughter, all of whom mercifully don't laugh when she says "au revoir." She penned the Paris Confessions series in between diaper changes and wine refills. 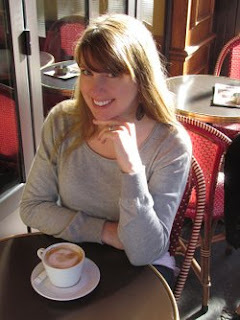 She writes about the ups and downs of life in the City of Light at VickiLesage.com. Thanks for having me on The Writers' Lens. Good luck to all your readers on their next price promotions! Fabulous tips! Thanks for sharing! A very interesting blog. Thanks for the info. Very helpful ideas; thanks so much for sharing. I envy you living in Paris.